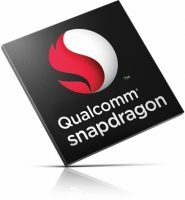 SAN DIEGO – June 29, 2018 – Qualcomm Incorporated (NASDAQ: QCOM) today announced that its subsidiary, Qualcomm Technologies International, Ltd., introduced the QCC3026, a flash-programmable Bluetooth Audio System-on-Chip (SoC) that is designed to reduce power consumption by up to 50% compared to previous generation entry-level flash devices. The new SoC is also engineered to balance functionality and cost to help manufacturers simply and quickly develop and commercialize feature optimized truly wireless headsets, and extends the Company’s portfolio of low power Bluetooth audio solutions following the announcement of the flagship QCC5100 Bluetooth SoC series earlier this year. Reference designs based on the QCC3026 SoC are expected to be available in the second half of 2018 from several ODMs to help manufacturers commercialize entry-level and mid-tier wireless headsets quickly and cost-effectively. For additional information please visit qualcomm.com/products/qcc3026. Nächste Pressemitteilung NEUHEIT bei Caseking – Der noblechairs HERO Gaming-Stuhl mit stufenlos einstellbarer Lordosenstütze.